The difference between panic and anxiety isn’t a very obvious one, so to speak. Generally, the symptoms of anxiety and panic are extremely similar, and in some cases identical, to those of panic attacks. But there is a reason that panic disorders are a unique sub-category of anxiety disorders – there are some very glaring differences between the two. Nonetheless, the causes, symptoms, and forms of treatment are vastly different. At first, I didn’t think so. My first encounter with a panic attack wasn’t pleasant? A few years I took the bus on my way home from some examinations for the military when all of a sudden a women came in. To say that she looked “out of it” would be an understatement. Her forehead was sweaty, with some hair sticking to it, her clothes were wrinkled and she had a bit of crazed look in her eyes. She sat on the seat right beside me when all of a sudden the driver asked her to pay for her ticket. Fair is fair, after all, and the driver needs to feed his family. She reached for her purse and started looking for a few coins she might have had on her. A minute later she pulled a few but was still missing around 15 cents or so. Not only that, but she seemed to get a bit teary-eyed and her voice got hoarse. How do I know that? She started humming. Loudly. She started shaking her purse rather violently, and the rest of the passengers looked away, clearly uncomfortable. Truth be told, I wanted nothing to do with this woman, but her whines got louder and more aggressive for the better part of 5 minutes and quite frankly I started to get really annoyed by her, as did anyone else. Hey, never said I was a saint. I was the one closest to her, so I suffered the most from here company and decided to put a stop to all of this noise. Despite having free access to public transportation (perks of being a soldier), I did have some cash on me, so I just shoved some money into her hands and told her to pay up. I would have left, but she blocked my exit point. She calmed down very quickly, something which stood out to me. I figured she was just messed in the head (yeah, I know, pretty judgemental of me) and left it at that. The rest of the ride was both short and quiet. I got off the bus soon thereafter and that was the end of that. Alright, so what does this have to do with anything? I only recalled this story a short while back, when going over some data on the subject of anxiety. The Diagnostic and Statistical Manual of Mental Disorders, 5th edition (DSM-5 as an acronym) is a 2013 update to a guide published by the American Psychiatric Association’s (APA). This marvelous piece of guidelines is a universal authority in the U.S regarding any and all psychiatric evaluations and conclusions. Panic attacks are abrupt surges of intense fear or intense discomfort that reach a peak within minutes, accompanied by physical and/or cognitive symptoms. Limited-symptom panic attacks include fewer than four symptoms. Panic attacks may be expected, such as in response to a typically feared object or situation, or unexpected, meaning that the panic attack occurs for no apparent reason. So far so good, a pretty straightforward definition. Panic attacks are intense, sensations of fear that escalate very quickly based on the situation at hand (random or expected). She was already rather stressful going to the bus, as if knowing that something bad was going to happen, and once the driver asked her to pay up she pretty much flipped. She also calmed down very quickly, seeing as panic “attacks”, don’t really last for long. Looking at the symptoms of a panic attack, and keeping in mind that I am not a licensed professional, I can, in hindsight, observe at least a few glaring symptoms of a panic attack based on her behavior. As you can see, panic attacks are just that, sudden experience of panic. The worst thing about them is that, sometimes, they can just randomly pop out of nowhere. I hear the term “anxiety attack” a lot, and some people, sometimes even licensed experts, refer to panic attacks and anxiety attacks as two totally different things. If we were to track back to the DSM-5, or any version of the DSM, and search for the term “anxiety attack”, we would come up empty. 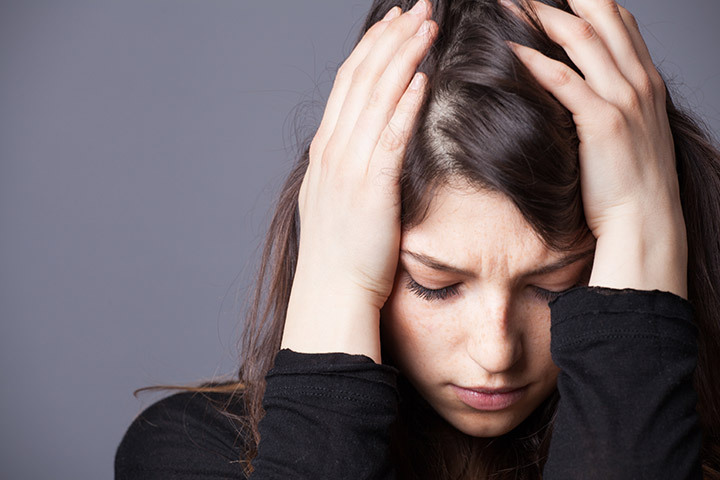 Anxiety attacks are a common term to describe plain’ old anxiety, one that a lot of professionals seem to have adopted into their vocabulary in order to speak to their patients in more understandable terms. Alright, so what are anxiety “attacks”? A severe response to a stressor, something which is defined by the DSM-5 as an “expected” panic attack. A mild, escalating, case of anxiety, with the symptoms becoming much worse over a longer period of time to a stressor, rather than an immediate reaction. If you recall, bus-lady could’ve been classified as an anxiety attack case. After all, she was exposed to a very obvious stressor, and her condition started getting worse only after a few minutes of exposure. Some could even argue that she was experiencing social anxiety rather than panic, goes to show you how difficult the human mind can be. I’d like to draw you an imagery for a moment. Picture two brothers, one is ‘anxiety’, a 25-year-old chess player, and the other one is a 5-year-old kid with ADHD called ‘panic’. The rate of emergence – Anxiety will take you on slowly, trying to outlast you, it’s always there. Panic will scream for attention every once in a while before getting bored and doing something else. Intensity – Anxiety is a pretty mild dude, not pleasant to be around but you still have to tolerate him Panic is more very likely to throw a tantrum, sometimes just for the heck of it, to get a rise out of you. The two disorders are very similar on the surface, having mostly the same symptoms, but there are glaring differences between the two. Panic is intense and traumatic, with people often times developing agoraphobia (situational fear) as a result. Anxiety is just as bad, it wears you down and dominates every single moment of your life. The sad thing is that both have a high rate of comorbidity among them, so it’s pretty likely for you to experience both at the same time, alongside some of their nasty friends, like social anxiety and depression. Based on their intensity, the rate of emergence and long-lasting effects, understanding the difference between panic and anxiety is absolutely critical to treating them. I would recommend meeting up with an expert, as well as applying multiple preventing methods just in case. Another recommendation would be to check out Barry’s “panic away” system, it’s a lot cheaper, has a refund, and provides plenty of techniques and data to deal with anxiety panic and everything in between. Before you leave, here’s something to think about – What made you realize that you suffer from a panic disorder, anxiety disorder, both or neither? A pretty long question, I know, but I have every bit of faith that you will be able to answer it fully. Now if you could only believe in yourself to pull through, that would be great. My sardonic remarks aside, please write down your answer in the comment section below – I always enjoy reading them! If you got any questions, recommendations or problems with the content that I’ve listed here, or anywhere else, please be sure to email me about them. Can Hypnosis Help With Anxiety and Depression?